Many of these lighthouses, even some no longer in existence, were photographed for use on early postcards and are assembled for the first time in the pages of this book. Robert G. MÃ¼ller writes and lectures on lighthouse history and his photography has appeared in newsletters, magazines, newspapers, a calendar, a poster, various promotional materials, and a movie. He is the recipient of the U.S. Lighthouse Society's 2005 President's Award for "outstanding contributions to lighthouse preservation," the founding president of the Long Island Chapter of the U.S. Lighthouse Society, and the founder of the LongIslandLighthouses.com and NewYorkLighthouses.com Web sites. 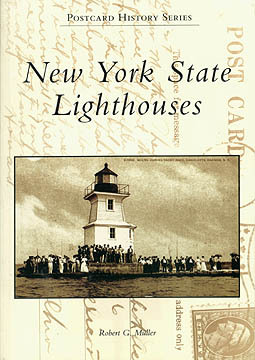 The author of Long Island's Lighthouses: Past and Present, he is a past president of the East Islip Historical Society.